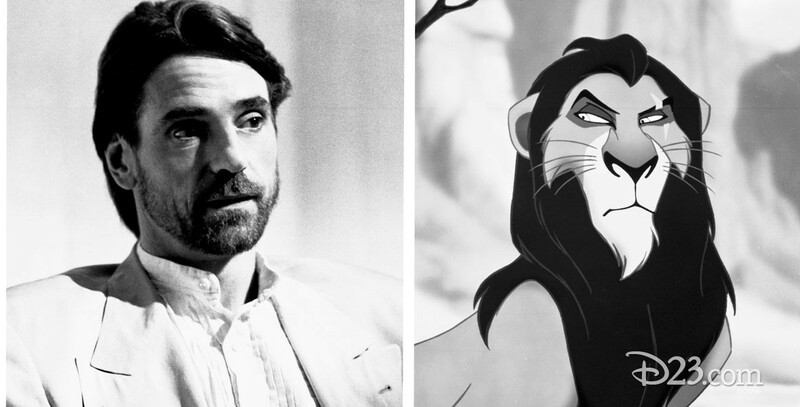 Irons, Jeremy Actor; provided the voice of Scar in The Lion King, and appeared on The Disney Channel in Danny, the Champion of the World (William Smith). Beginning in 1994, he narrated the Spaceship Earth attraction at Epcot. He appeared in Casanova (Bishop Pucci). He is the MC for English-speaking guests for the Studio Tram Tour—Behind the Magic at Disney Studios Paris.